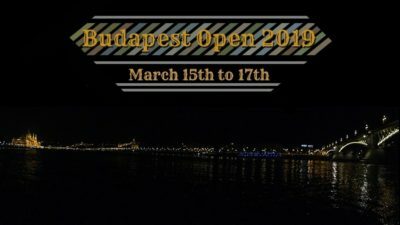 The Budapest Open 2019 saw the teams in Closing Government sweeping both final rounds, with De grootse Nederlands-Servische alliantie (Janko Djordjevic, Floris Holstege;Belgrade/Leiden) winning the crown on the motion “This house regrets the narrative that forgiveness is a virtue”. Against them were Autinzam i renesansa (Tin Puljić, Ilija Ivanišević; Zagreb/Belgrade) in Opening Government, Velika Srpsko-Holandska Alijansa (Miloš Marjanovic, David Metz; Belgrade/Leiden) in Opening Opposition, and One More Serbian Team (Djordje Radisavljevic, Marta Vasic; Belgrade) in Closing Opposition. The open final was chaired by Roy Schulman, with a panel of Emily Frizell, Razzaq Bin, Daan Spackler, and Bexley Brown. In the novice final, Speachbenders (Mira Eberdorfer, Marina Kojic; Vienna) reigned on the motion that “This house supports the creation of a global citizenship market”. Ending the tournament as novice finalists were Trump University A (Pavle Milojkovic, Luka Jovetic; Belgrade) in Opening Government, BOUN Biggus Dickus (Ruveyda Sahyar, Arda Duman; Istanbul) in Opening Opposition, and Hands of Svarog (Pavle Mackic, Katarina Jeremic; Belgrade) in Closing Opposition. The debate was chaired by Bexley Brown, with a panel of Ela Jurka, Keshav Arvind, Klaudia Maciejewska and Lior Finkelman. The top open speakers, tied with an average of 82.8 speaker points, were Miloš Marjanovic and Tin Puljić. The top novice speakers, also tied, were Lucija Ivanuša and Natalija Ljubic, averaging 77.6 speaker points. The CA team consisted of Benji Kalman, Lovro Sprem, and Cliodhna Ni Ch. Tabbing the tournament was Dasha and convening the tournament once again were Dasha Fialkina and Marcell Ottó Ormándy. 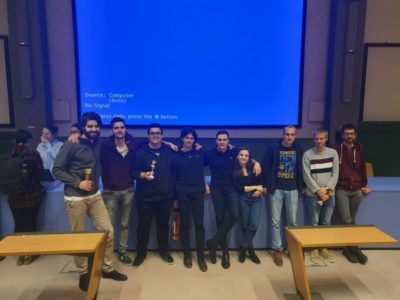 It was hosted by the Corvinus and ELTE Debate Clubs. The current tab includes motion balance statistics, speaker tab, and team tab, while the tournament will be updated in tabbie2 shortly. R3: Given a way to accurately measure an individual’s empathy, THW only allow individuals with high levels of empathy for people beyond their immediate circle to vote in elections. QF: Info Slide: The EPP is the conservative-Christian parliamentary group in the European Parliament that includes national European parties, such as the CDU in Germany, Fine Gael in Ireland, and the Austrian People’s Party. It has been the largest group in the European Parliament since 1999. Fidesz is the current ruling political party in Hungary.